This is another one of princess Cassi’s favorite meals, so I had to make this Avocado Shrimp Risotto one more time before she left for college. It is so delicious, I really didn’t mind at all….. The avocado takes the place of the butter, and adds some good fats to make it a bit healthier than traditional risotto. You do still have to stand at the stove stirring forever and a day, but this Avocado Shrimp Risotto really is worth it….I promise! Heat seafood stock over low heat in a small sauce pan…..
Heat olive oil in a large pan or Dutch oven over medium-low heat. Add the chopped onions and cook until translucent, about 5 minutes. Add the rice, and cook while stirring until almost all of the oil is absorbed. 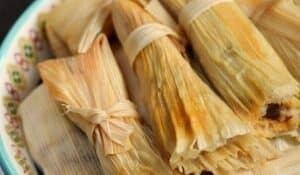 Stir in the wine, and cook until almost completely absorbed by the rice…..
Add the hot seafood stock one cup at a time and stir until almost all of the liquid has been absorbed…..
Continue adding the stock until the rice is tender and creamy. You may need to add additional stock or water if it is not tender by the time you run out. 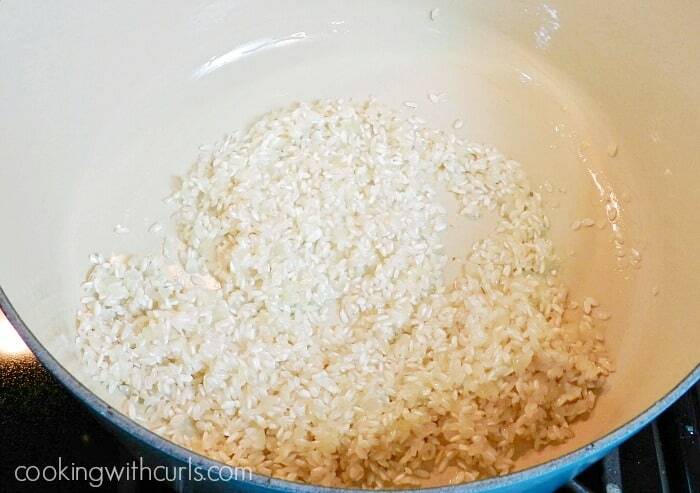 If you cook at too high a heat, the rice will not absorb the liquid correctly…..
Stir in the garlic, chili powder, and shrimp. Cook until the shrimp are no longer pink…..
Add the avocado and cook until heated through…..
Stir in the Parmesan cheese, salt and pepper….. Serve with additional Parmesan and chopped parsley….. 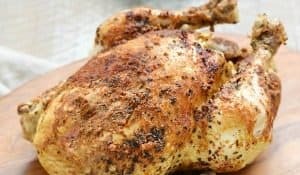 This meal is perfect for a family dinner or even a special occasion with guests. It is sure to impress! Cassi’s friend Kyla flew up from Florida to drive down with all of Cassi’s stuff. 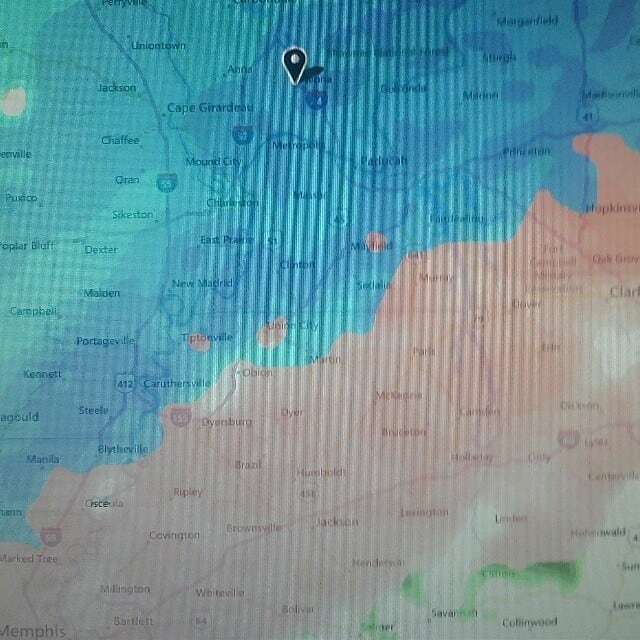 Unfortunately, none of us noticed the snow and ice storm that covered the center of the country…..BEFORE they left….. So their adventure has some added hotel stays and white knuckle driving in the snow!! A lot of texting the latest from the Weather Channel so they knew what the conditions were going to be as they moved further south. Luckily Cassi was raised in Iowa and learned to drive in the snow. 🙂 I am still worried, but I have faith in her…..she’s a smart kid!! Cassi is also a much healthier eater than I am. Other than the Beef Wellington for ThanksChristmas, she hasn’t touched red meat since she got back in July! 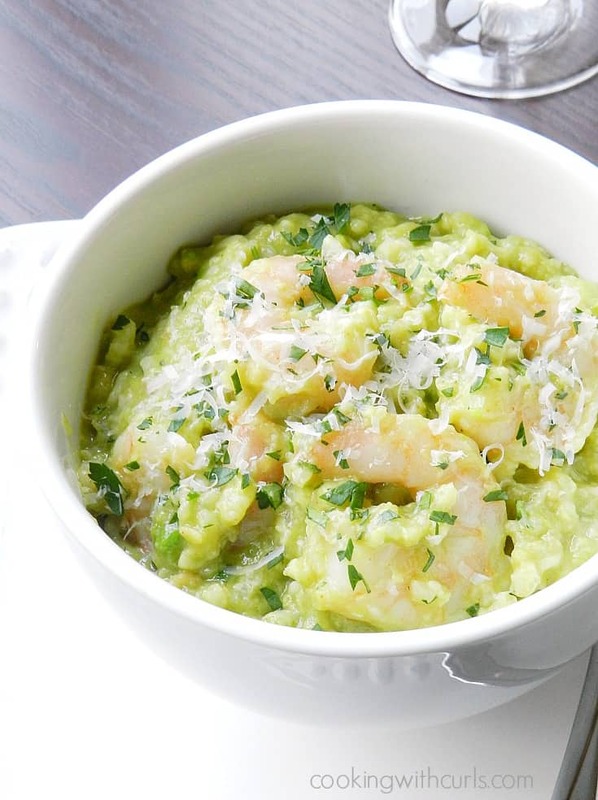 I found the original recipe for Avocado and Shrimp Risotto a few years ago in The 10 Things You Need to Eat cookbook by Dave Lieberman and Anahad O’Connor, and we have made it several times…we love it!! I have made a few changes because that’s just how I roll, and sometimes I don’t have the ingredients on hand. I have made this with vegetable stock and chicken stock when seafood stock was not available. I just found Swanson’s Seafood Stock and it is awesome! It smells like you are cooking seaweed, but it gives this dish so much more flavor than the previous stock that I used! 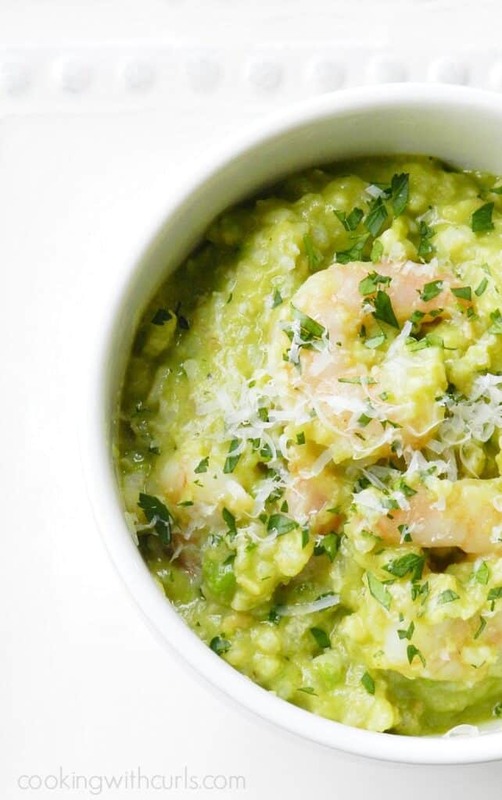 This Avocado Shrimp Risotto is perfect for a family dinner or even a special occasion with guests. It is sure to impress! Heat seafood stock over low heat in a small sauce pan. Add the rice, and cook while stirring until almost all of the oil is absorbed. Stir in the wine, and cook until almost completely absorbed by the rice. 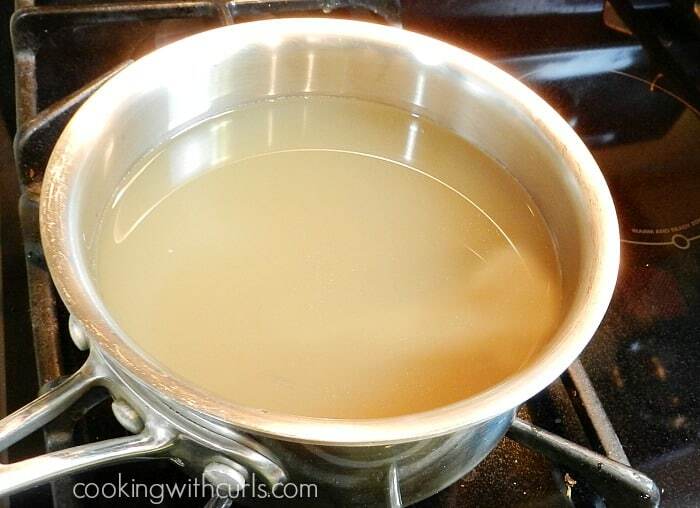 Add the hot seafood stock one cup at a time and stir until almost all of the liquid has been absorbed. 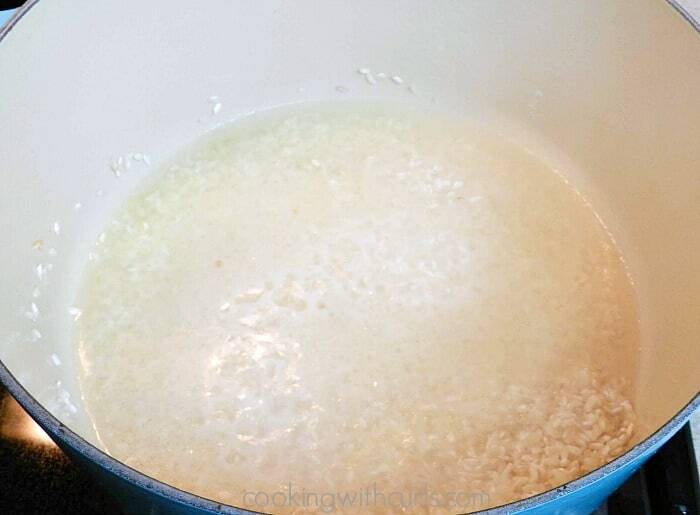 Continue adding the stock until the rice is tender and creamy. You may need to add additional stock or water if it is not tender by the time you run out. 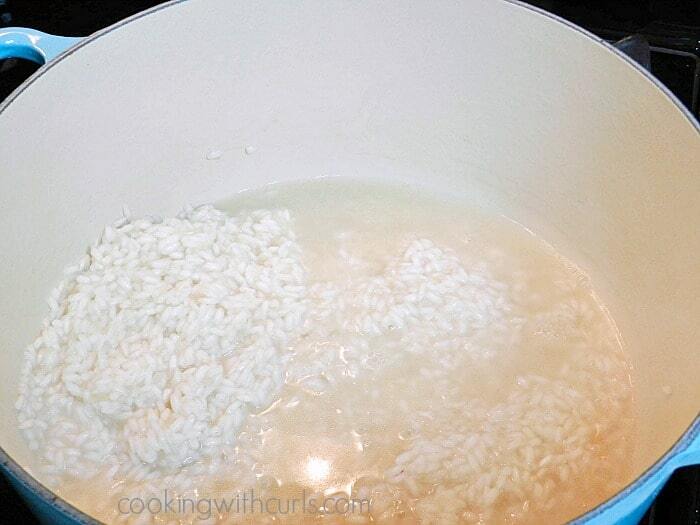 If you cook at too high a heat, the rice will not absorb the liquid correctly. Stir in the garlic, chili powder, and shrimp. 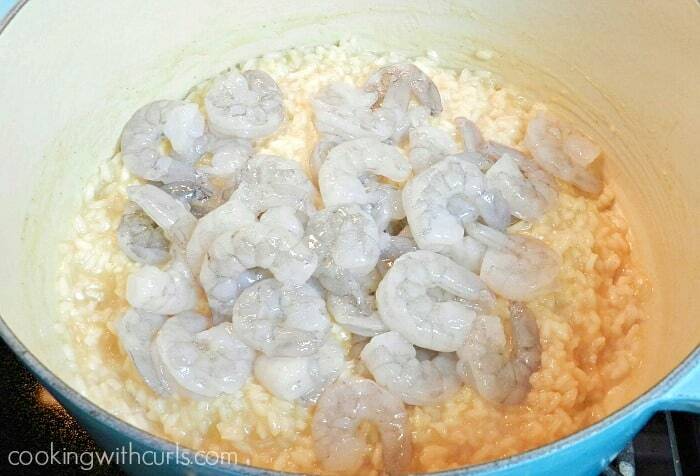 Cook until the shrimp are no longer pink. Add the avocado and cook until heated through. Stir in the Parmesan cheese, salt and pepper. Serve with additional Parmesan and chopped parsley. Adjust the amount of chili powder based on your family's tastes. Love that dish, Lisa I can see why it’s your daughter’s favourite. Everything goes great with shrimp, lol. Beautiful job. This looks absolutely delicious, Lisa! 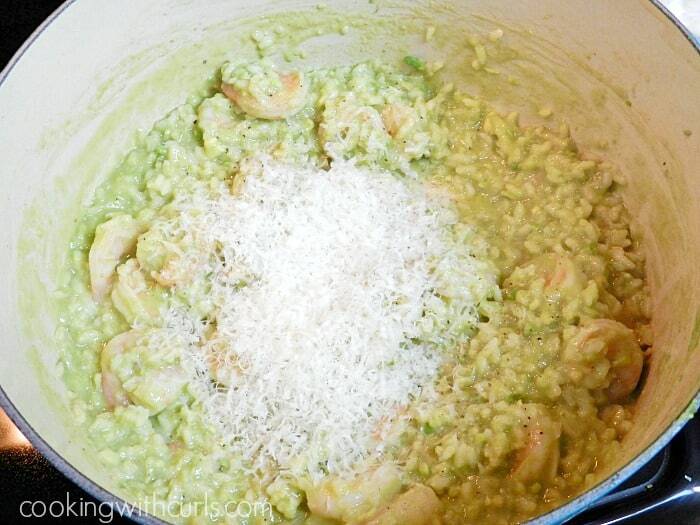 I love risotto and the avocado and shrimp sound so wonderful – I will have to try it! 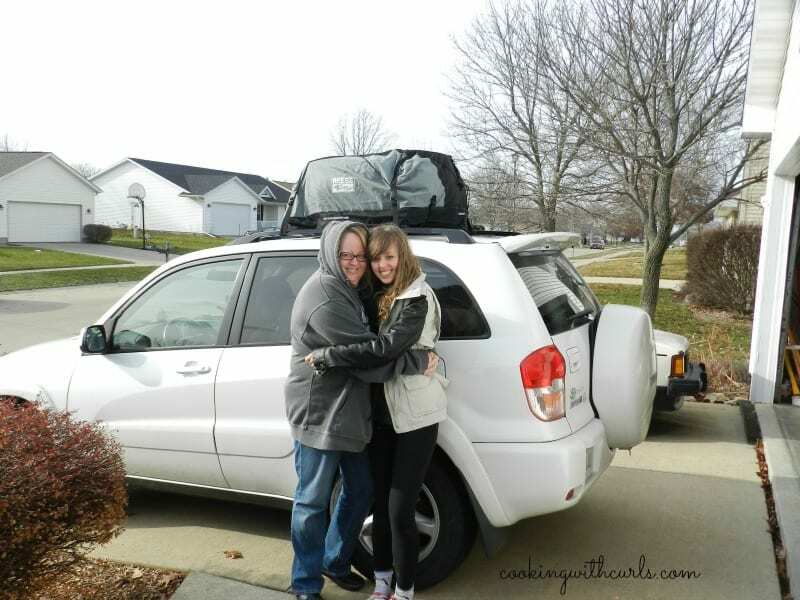 I am sure Cassi will have a great adventure ahead of her and that she will miss her Mom’s fantastic cooking too! Pinning and xo! You know, I was never sad when the boys went to Kindergarten, or HS graduation (although, THAT was just surreal!) but I get a little ( a lot!) sad when they leave the nest! Love your creative recipe, Lisa. My boys LOVE anything with avocado …and shrimp! So, this is a winner! This looks absolutely delicious – I’m sad I don’t have everything in the house right now (and since it is single digit temps I’m not going back out) – as soon as I go to the grocery store I’m going to make this! So happy you shared with us! Oh m goodness, my mouth is watering! (literally) This sounds SO good. Thanks for sharing the recipe. Did your daughter make it to Florida okay? Awww…best wishes to your girl! So fun! And this looks delicious! That sounds really good with the risotto, avocado, shrimp and parmesan to hold it all together – yum!! YUM! 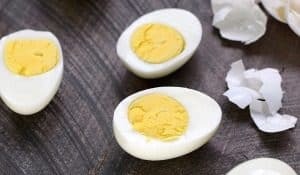 What a great recipe… Pinned for later! Yum! This looks delicious! I love risotto and this is such a great version, pinned!! It’s nice to get some “real food” recipes during the holidays, and this looks delicious! I’m glad your daughter was able to get there safely. Thank you for linking to the In and Out of the Kitchen Link Party. Hope to see you next week. Ooooooh…..I am drooling over this recipe! 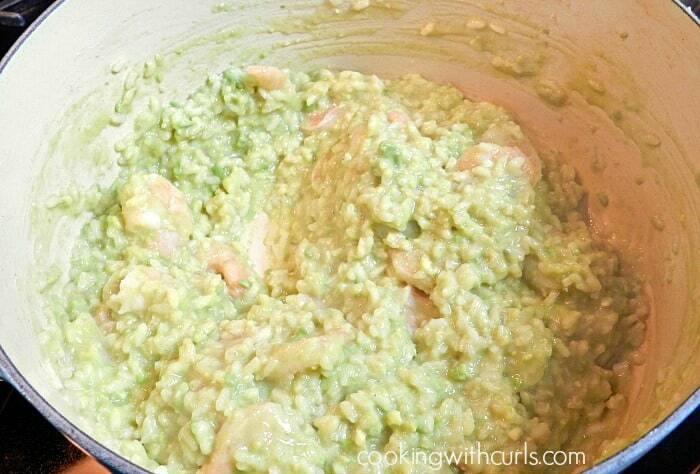 I love risotto and I love avocado…..this sounds AMAZING! Pinning and sharing!